Holds the big image for you so that you can move toward it. That someone is Jane Hardwick. Jane Hardwick, M.S. is a Licensed Professional Counselor with over 30 years of experience. Prior to entering the professional and personal coaching arena, she specialized in individual and marriage therapy. She has also worked in the areas of transactional analysis, cancer counseling and assertiveness training. 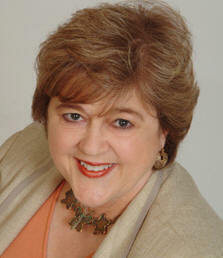 Jane is certified in the use of the Myers Briggs Type Indicator and has taught seminars on a variety of subjects. She has helped executives and other creative people define their visions and dreams. Jane is a member of the International Coaching Federation. She is also a Certified Authentic Happiness Coach, Certified MentorCoach and facilitator for Too Young to Retire� and Retirement Options�. Jane is a graduate of both Leadership Fort Worth and Leadership Texas, where she served as its Fort Worth Regional Director. She was chosen to join the ranks of the Outstanding Women of Fort Worth in 2002. In 1997, Ms. Hardwick was listed among Tarrant County's Most Influential Business Women. Why wait? Call 817-731-1916 TODAY to discuss your needs with Jane Hardwick. Copyright � 2008. All rights reserved. Jane Hardwick, Coach. Website design and layout Copyrighted � 2008. All rights reserved. Girl Geek Web Designs.